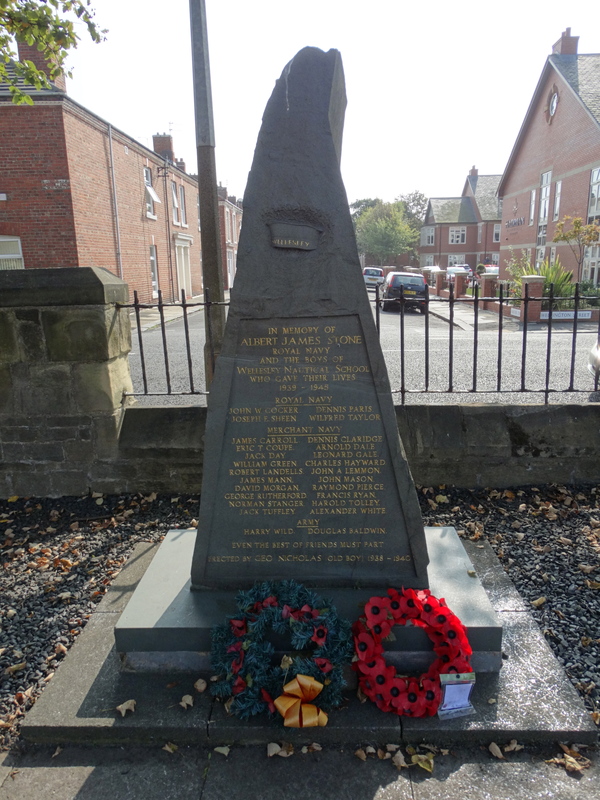 I think it has to be admitted that Blyth is not a Northumberland town that many tourists will ever go to, and I have never been into the town except on a railtour down to the docks. 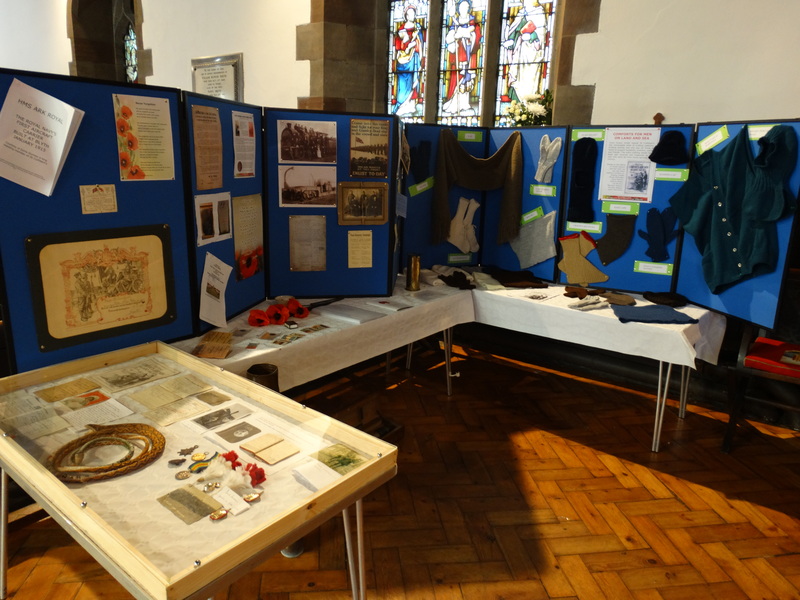 Today St Cuthbert’s church – NZ318815 – was open with an excellent exhibition about the First World War. 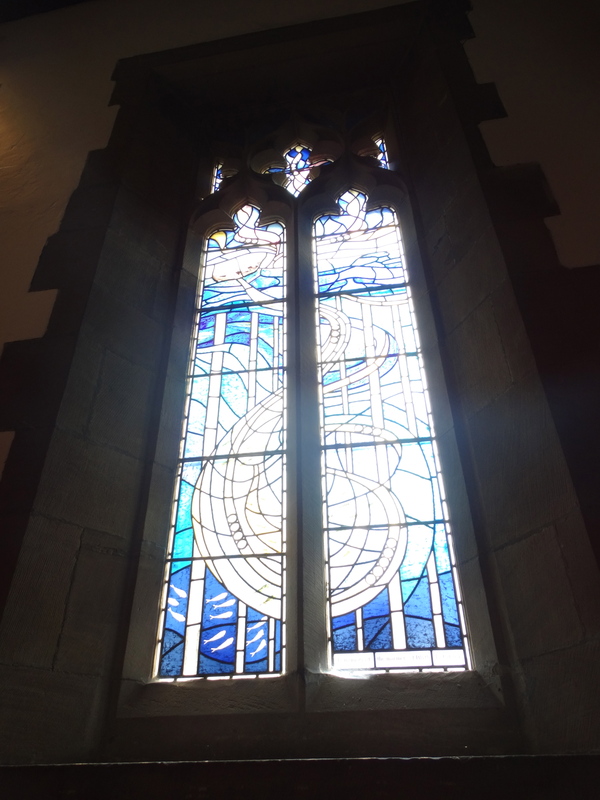 ­­I walked in, and was greeted with “you’re the chap who helped us get those Lindisfarne Gospels panels last year”, which was a nice way to be greeted – good to know I’m appreciated. 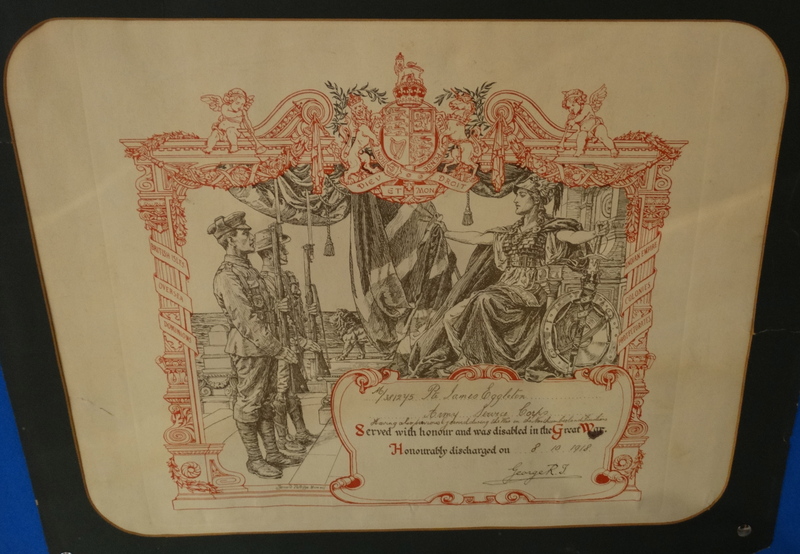 Let’s look at their WW1 exhibition first. 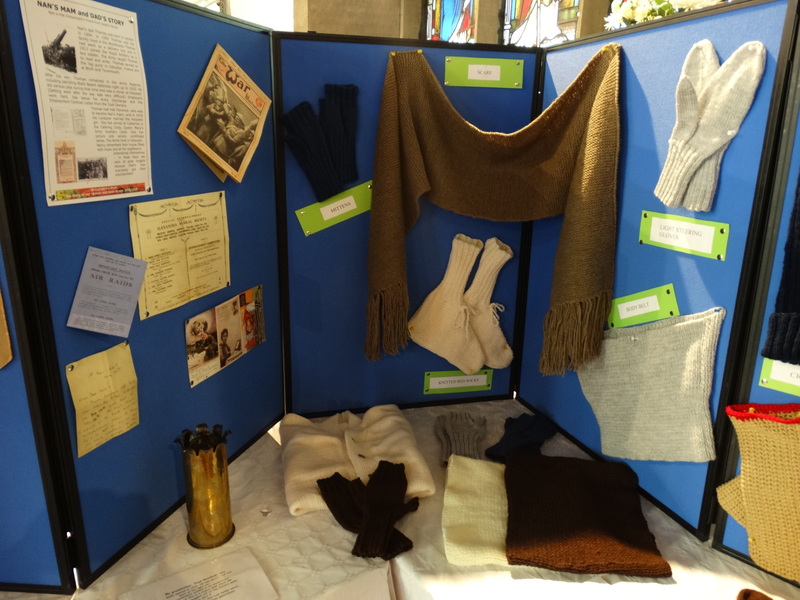 They had done a lot of work – even knitting. 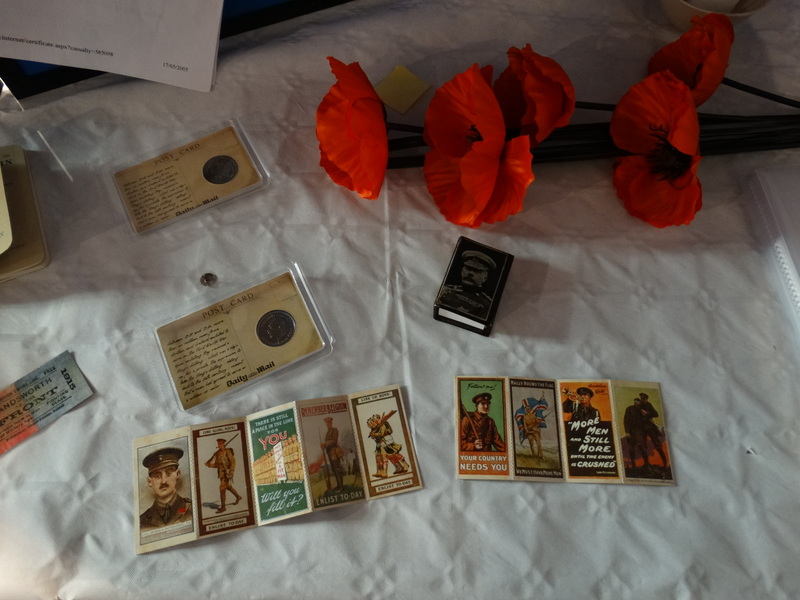 Lots of material has been collected, the displays have been done very professionally, a huge amount of work had taken place – I hope they had a lot of visitors. 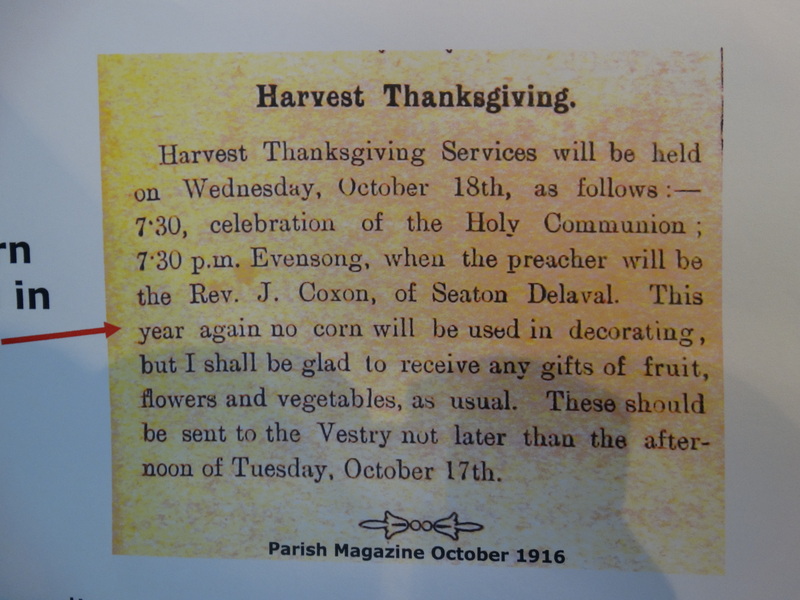 They were even having a 1914 style service on Sunday morning. 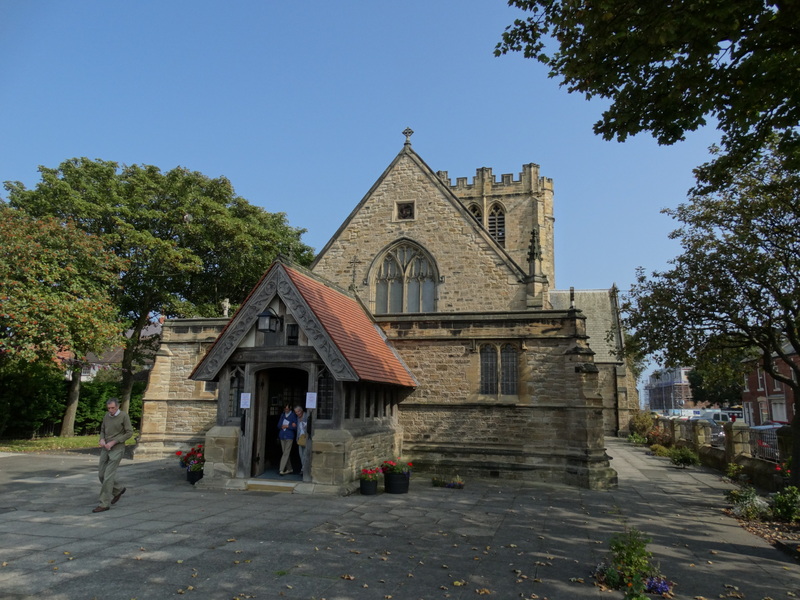 People have worshipped here since 1751 when a chapel of ease was built to benefit the people of Blyth. 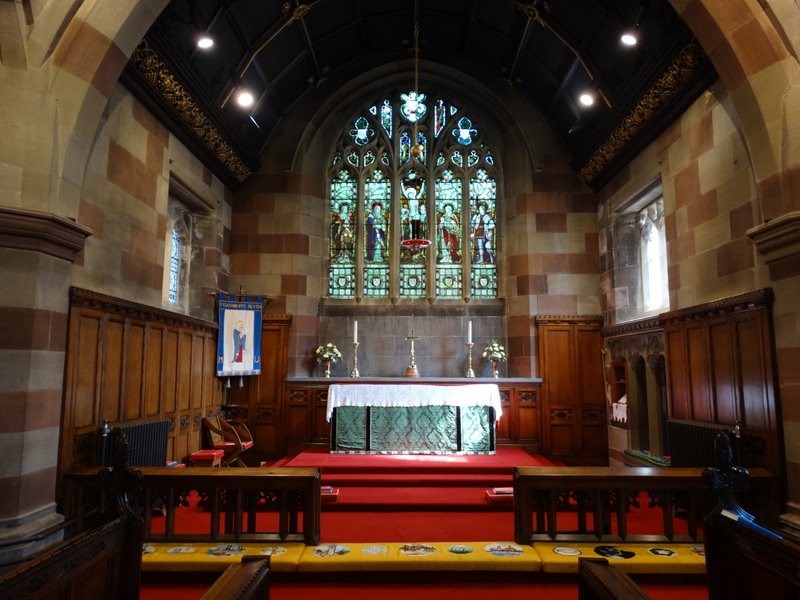 The church was built in 1885 by E. & J. Taylor of Benfieldside and the architect was W.S. Hicks of Newcastle. 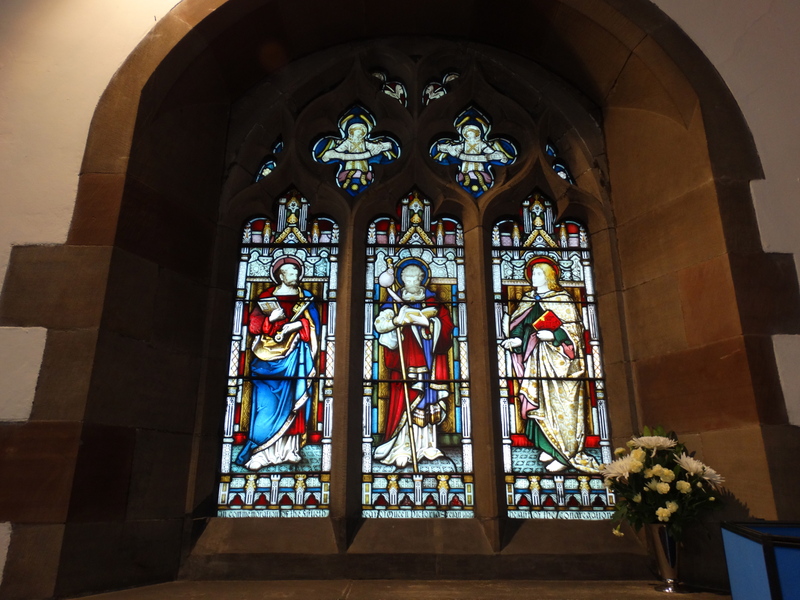 The stone was local, from Simpson’s Quarry, the interior relieved with Newbiggin Red Stone. The vestibule and porch were added in 1891 and the tower and transepts in 1892. 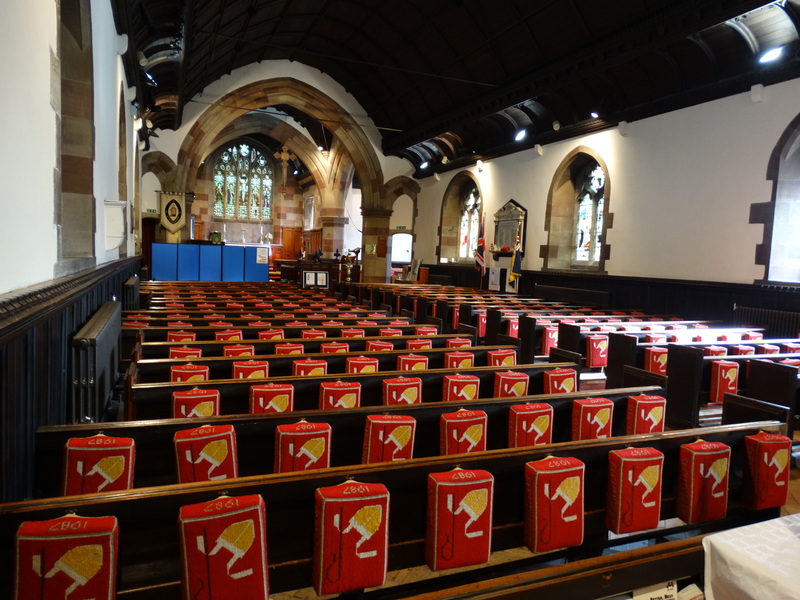 The kneelers were made in 1987 to commemorate the 1300th anniversary of St Cuthbert’s death – they are pretty bright. The yellow kneelers in the chancel just about work. 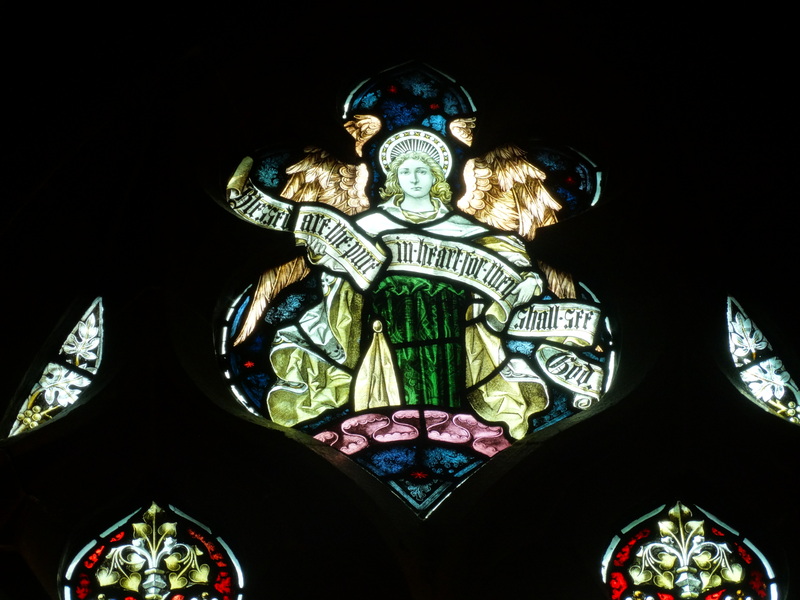 There is some nice stained glass, much of it by Percy Bacon Bros. of London. 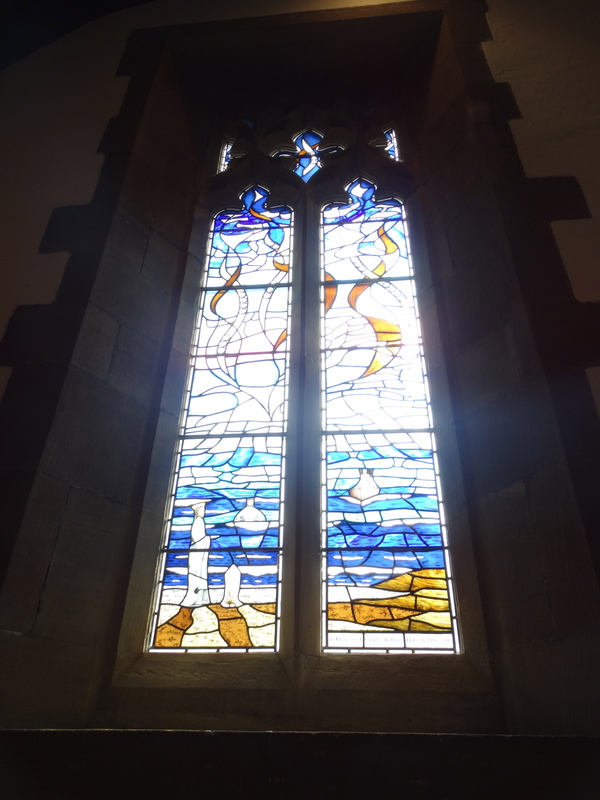 The St Andrew’s Chapel reflects Blyth’s strong links with the sea. 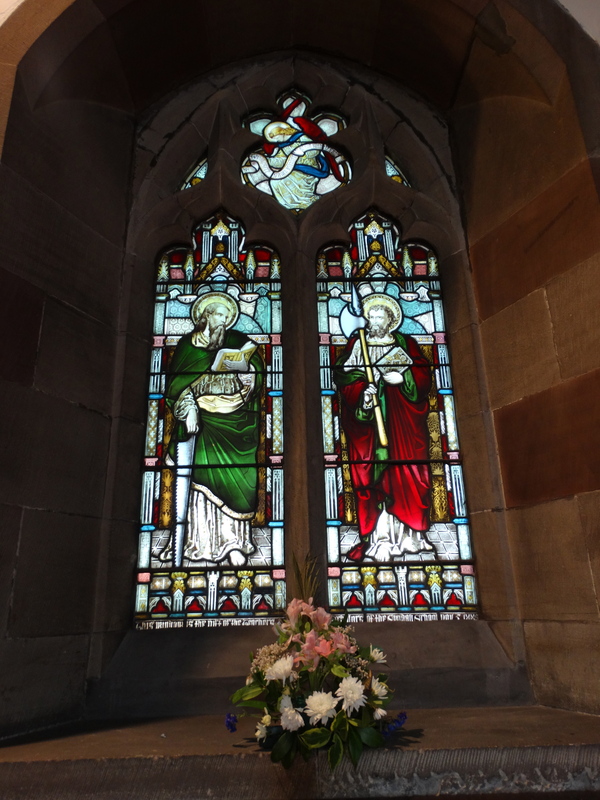 The two windows were donated in 2002 and made by Iona Art Glass. 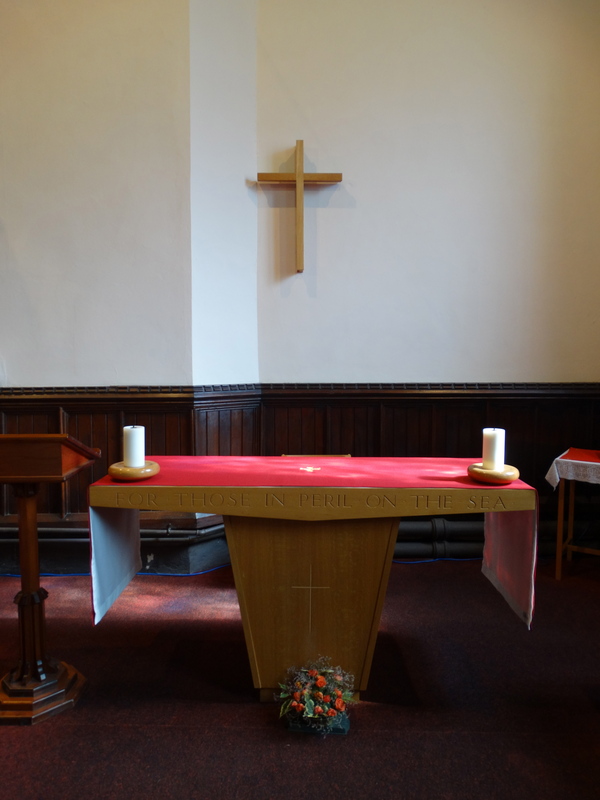 The simple altar has the inscription “For those in peril on the sea”. Outside the church is a memorial to the boys of the Wellesley Nautical School who died in WW2. More information here. 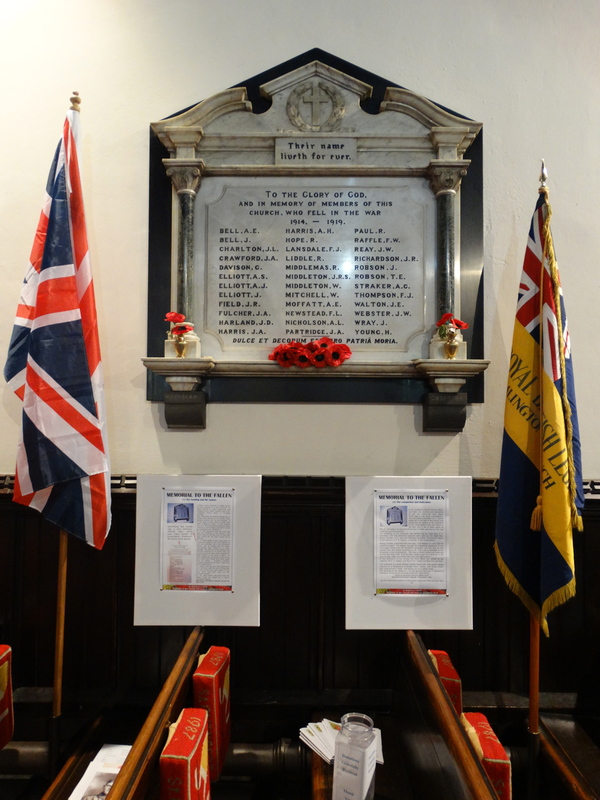 The church has done a huge amount of work to remember the War, salute those who died, and to bring people in to their building. 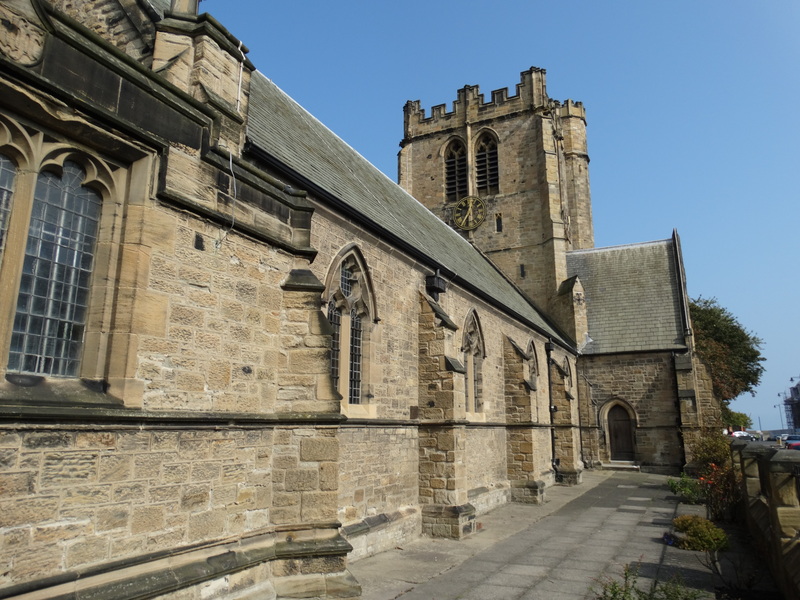 I congratulate them – they have done more than any other Northumberland church.